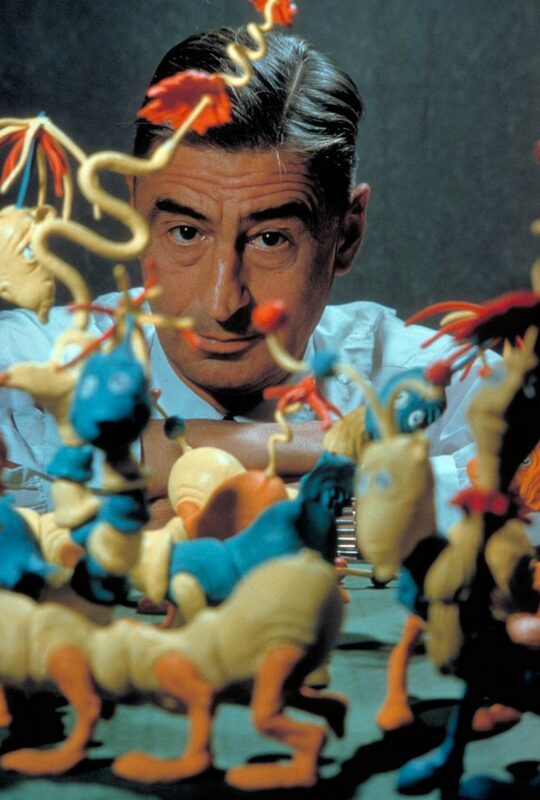 Dr. Seuss's real name is Theodore Seuss Geisel. He started using his pen name after he was kicked off Dartmouth College's humor magazine editing board due to in 1925. "Seuss" was his mother's maiden name, and she inspired him with his well-known rhymes. He used "Dr." as part of his name because his father always wanted him to be a doctor. He never had any biological children. He always said, "You make them, I'll amuse them." The first book he wrote and illustrated was And To Think I Saw it on Mulberry Street in 1937. In 1942, Seuss made WWII propaganda films with Oscar-winning director Frank Capra. Wrote and illustrated advertisements for General Electric, Standard Oil, and NBC. Editor Bennett Cerf bet Dr. Seuss he couldn't write a book using 50 or fewer words. The result was 1960's Green Eggs and Ham. Popularized the terms "nerd" and "grinch". He has written and illustrated 4 children's books, 2 adult books, and has been translated in over 15 languages.